guests find it hard to pick from the proverbial buffet of exciting activities the city has to offer. After mulling through all the family fun events, attractions, and tours, I thought of the one thing we all enjoy, kickin' back and watching the game! Fans come from far and wide to support Pensacola sports ranging from hockey to auto racing. A day at the park, rink, raceway, or field is the perfect escape for vacationers staying in the city, or surrounding beach communities including Orange Beach, Pensacola Beach, and Navarre. Discover the city's most popular professional sports teams, and when, where, and how to catch a game while visiting Florida's Emerald Coast! Book a family-friendly Dolphin Cruise in Pensacola, FL for a day of adventure and sightseeing on the Gulf Coast! 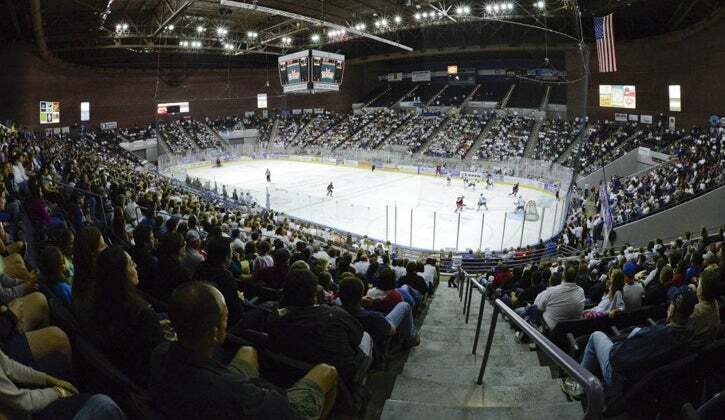 Retreat to the Pensacola Bay Center to beat the Florida heat at a Pensacola Ice Flyers hockey game! The back to back minor league hockey champs are sure to entertain with fast-paced action on the ice. Previously known as the "Pensacola Ice Pilots", the franchise name was chosen to pay tribute to both Pensacola's "Blue Angels" flight team, and the original owner's affiliation with the Philadelphia Flyers. The Ice Flyers are in the Southern Professional Hockey League, and typically square off against teams from Louisiana, Alabama, Tennessee, and Georgia. Tickets are affordable, and can be found online at the Pensacola Ice Flyers website, along with the team schedule and roster. Never been to a hockey game before? Don't miss your chance! Pensacola Ice Flyer games are full of hits, saves, and non-stop thrills for the whole family! The nation's national pass time makes for a perfect escape during a Gulf Coast vacation! 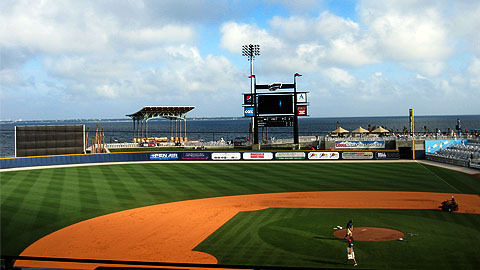 The Pensacola Blue Wahoos are a minor league baseball team who operate out of the brand New Pensacola Bayfront Stadium. The Blue Wahoos are a Double-A affiliate of the Major League team the Cincinnati Reds, and play in the Southern League. Originally the "Charleston White Socks", the Blue Wahoos have grown in popularity through 50+ active years, becoming one of the area's top family fun attractions! The name "Blue Wahoos" was chosen by a fan in 2012. For the fishing enthusiasts out there, the "Wahoo" is a prize game fish known for speed, strength, and a feisty attitude. For more info on Blue Wahoos Baseball including ticket sales, schedule, roster, and more, visit the Pensacola Blue Wahoos Online. Interested in catching a real live Blue Wahoo? Book a Deep Sea Fishing Trip near Pensacola online today! Named after Pensacola's nickname, "The City of Five Flags", the Five Flags Speedway is home to stimulating events including the Demolition Derby, Miller Lite Blizzard 100, and the annual Snowball Derby! Five Flags Speedway was built in 1953, hosting thousands of races over the years much to the pleasure of Pensacola locals and tourists. The race track is located at 7451 Pine Forest Rd. in Pensacola FL 32526, and is open for events year-round. Check the schedule at the Five Flags Speedway website. Still in need of more speed? Head to the RC Race Track. Bring your own Remote Control vehicle, or rent one at the track for a full day of sharp turns, insane jumps, and off-roading action! Reserve your time slot and SAVE online at the Pensacola RC Race Track!